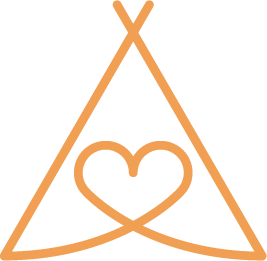 Versatile and suitable for a wide range of locations, our tipis are based on the Lavvu of the Sami people of Scandinavia. They’re easy to warm up and are resilient to adverse weather conditions. Each of our Giant Witches Hat tipis measures over 10 metres in diameter, extending to a diameter of 13 metres with the sides raised. 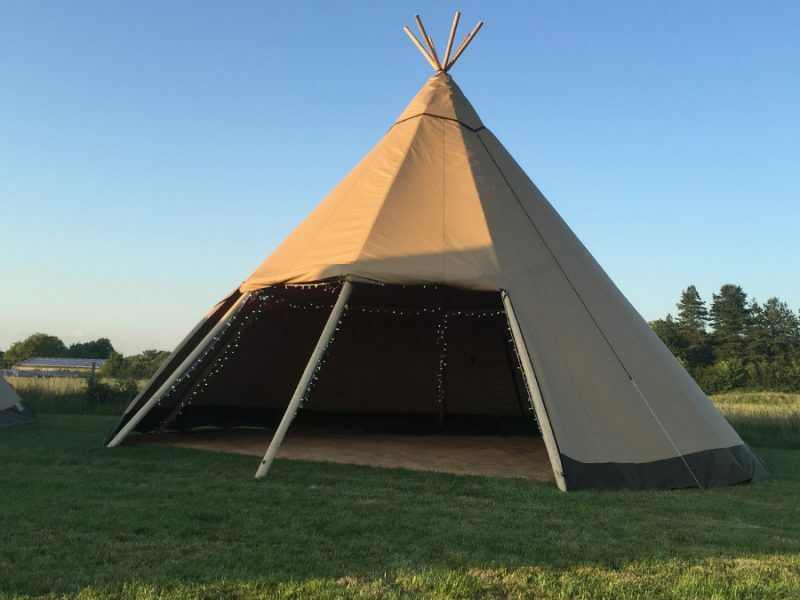 Each tipi stands over 7 metres tall. Using Siberian pine poles and tan or off-white weatherproof canvas, their unique ambience helps create a stunning backdrop for your event. Raising and lowering the sides of the tipis it’s possible to join any number of tipis in a multitude of combinations to suit all needs. 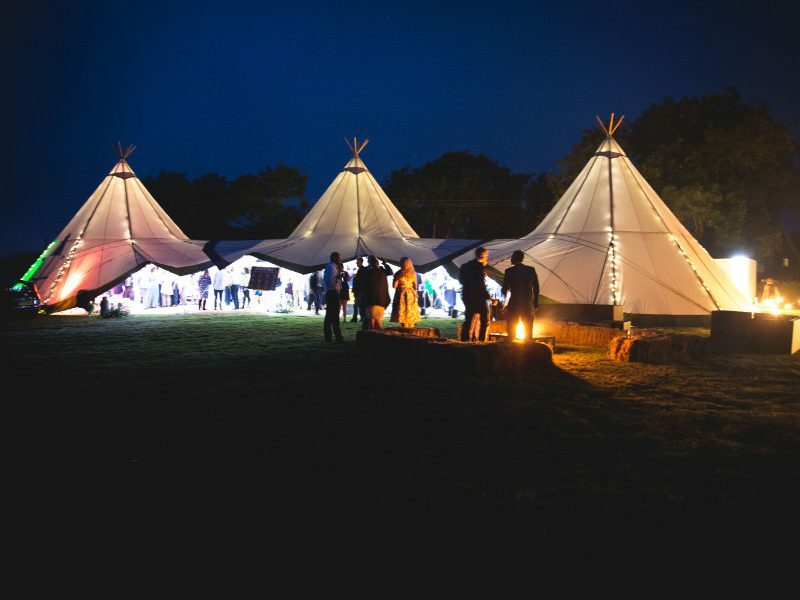 Most popularly, joining three tipis in a diamond formation creates capacity for 150 people and a dance floor. 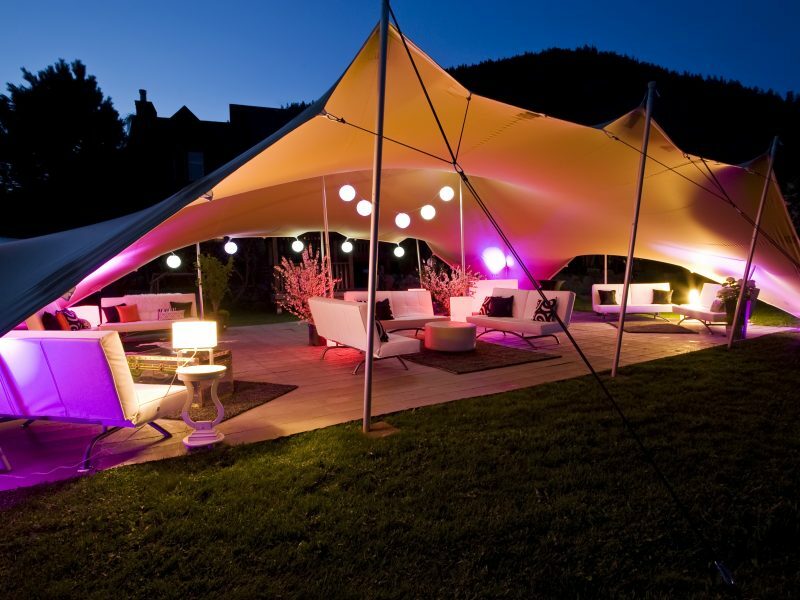 Stretch tents offer even greater flexibility. 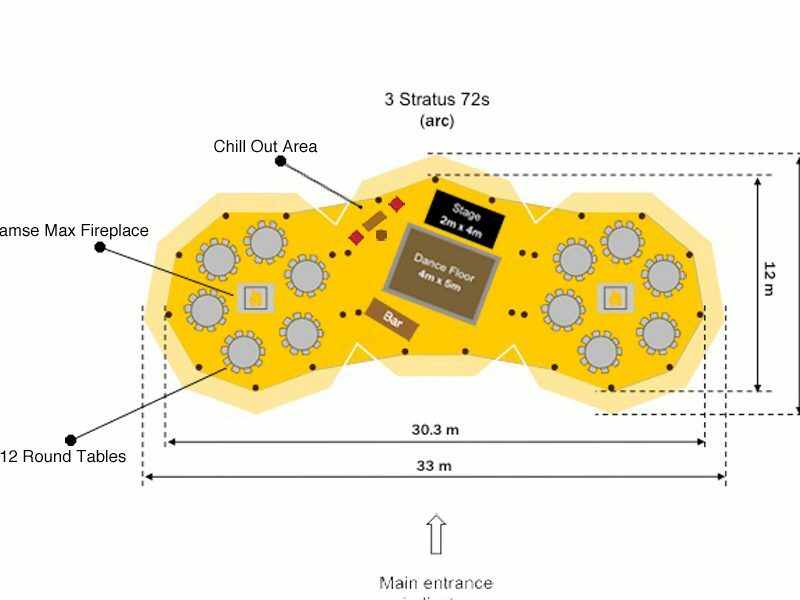 Check out our floor plans page for example set-ups. Once you’ve worked out the size requirements you’re ready to create your event with lighting and furniture options.